I grew up in pork tenderloin country. No, not the Iowa version, nor the Hoosier version, but the northern Illinois version, around Ottawa, 80 miles SW of Chicago. 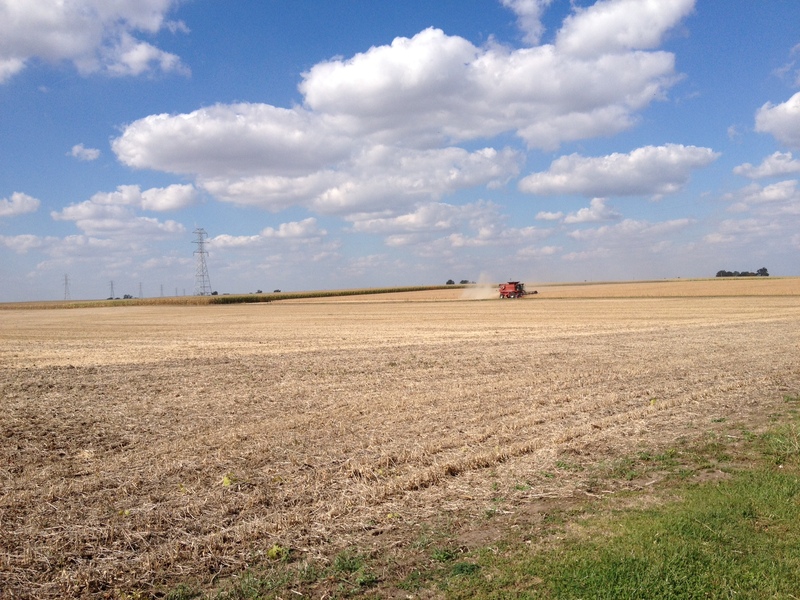 Farmland, industry, blue collar, but still mostly farmland in those days. McDonald’s hadn’t happened yet, no fast food other than a soft serve at the Tastee-Freez. For a small town though, at the cusp of the baby boomer generation, there were plenty of places to eat. The house specialty was usually fried pork tenderloin sandwich. The bigger the better, served like burgers, on buns, with all the condiments and, of course, a side of fries. Living in San Francisco for decades, my palate has widened considerably. Yet, once per year, I trek back to Illinois to visit relatives and renew my appreciation for pork tenderloin sandwiches. 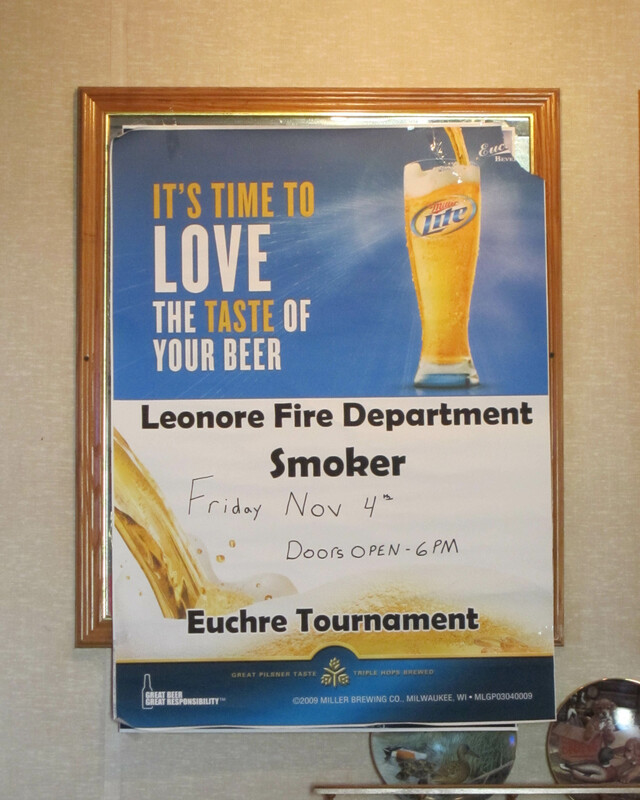 There are many good examples in town but my current favorite isn’t in Ottawa but in a wisp of a village called Leonore, 18 miles SW of Ottawa. 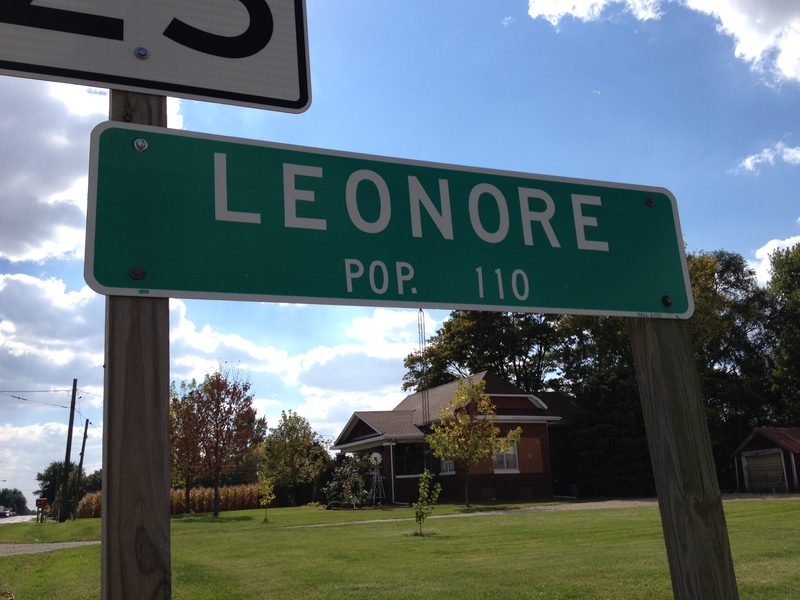 Driving to Leonore is pleasurable, especially in autumn when corn and soybeans are being harvested, pheasants are feeding on spilled corn kernels, ducks and geese migrate through the nearby Illinois River waterway, and oaks, hickory and maple trees are dressed in autumnal attire. The gently rolling farmland in the blackbelt country is something I never appreciated growing up. And Smitty’s Bar & Grill. 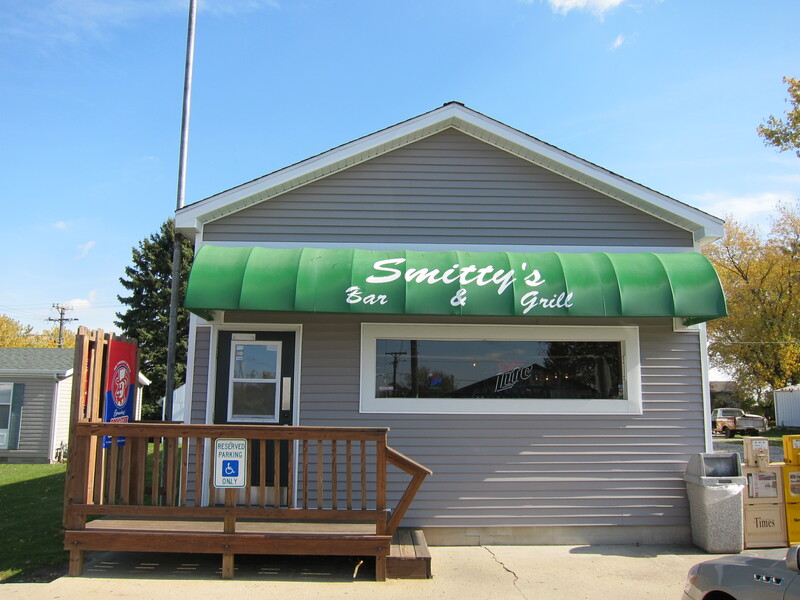 Smitty’s Bar and Grill is about the only retail outlet in the village, certainly the only place for food and drink. There is, or was, a United States Post Office but I think it is passé after the latest round of postal belt tightening, but not much more. 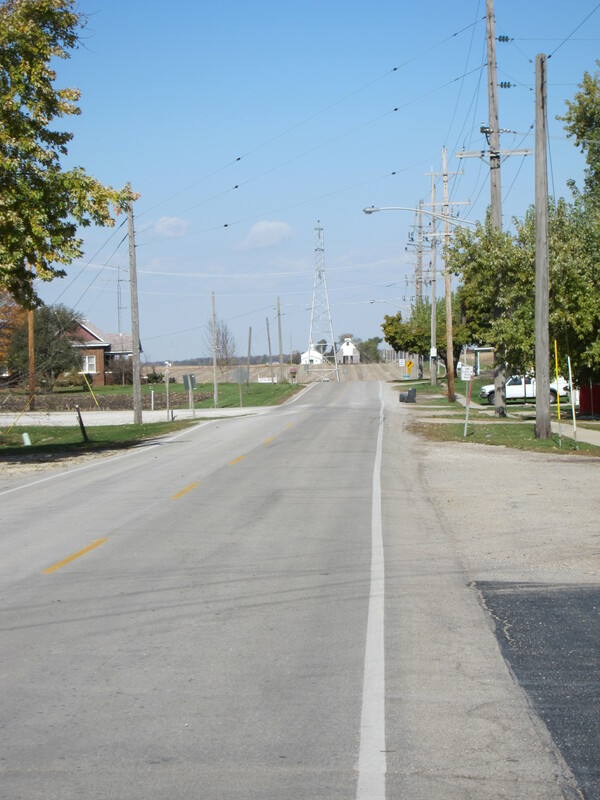 The main street is quiet day and night. But Smitty’s isn’t, the place is crowded lunch and dinner. At lunch, it’s farmers and agricultural workers, truck drivers, and occasionally, a spot where women’s groups from nearby Streator or Ottawa gather for a monthly luncheon. At dinner, the bar is more popular. 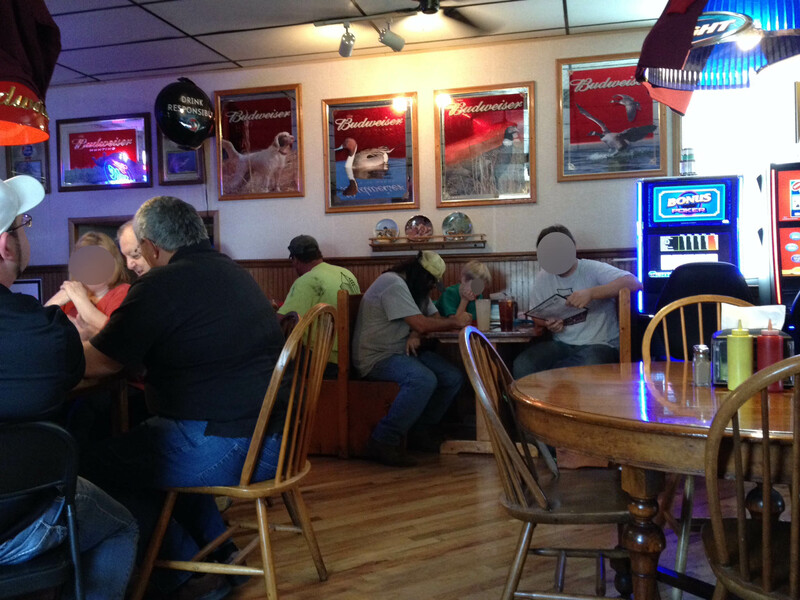 Smitty’s is more than just a place to eat though, it’s face-to-face social media in rural America, where most workers and housewives have limited daily human exchange. A surrogate town hall, it’s the locus for making announcements of the upcoming community events. 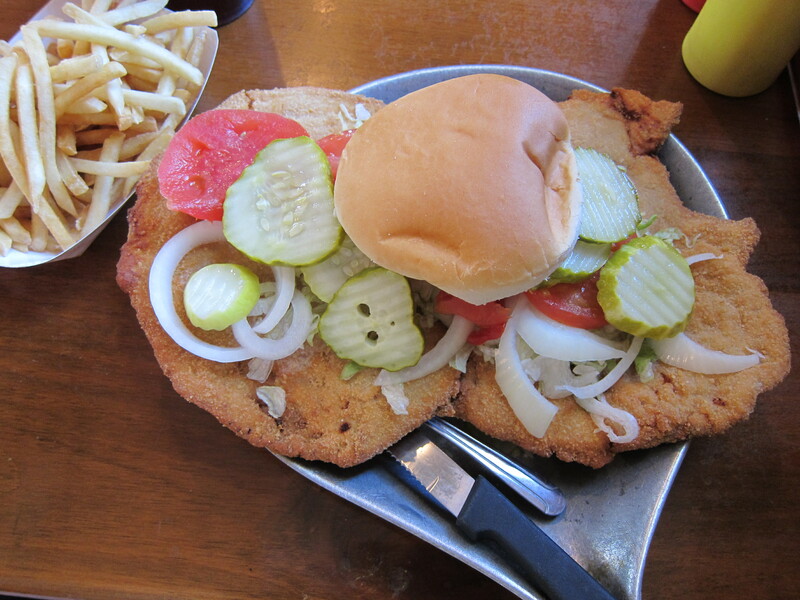 For me, it’s all about the pork tenderloin sandwich which is a lean piece of pork tenderloin, hammered thin with a mallet, dredged in flour, egg and breadcrumbs, then deep-fried to a golden finish. At Smitty’s the porker is $5.95, fries are extra. I’ve never seen anyone eat a whole one, nor should they. Smithy’s has a stack of take-home doggie bags. 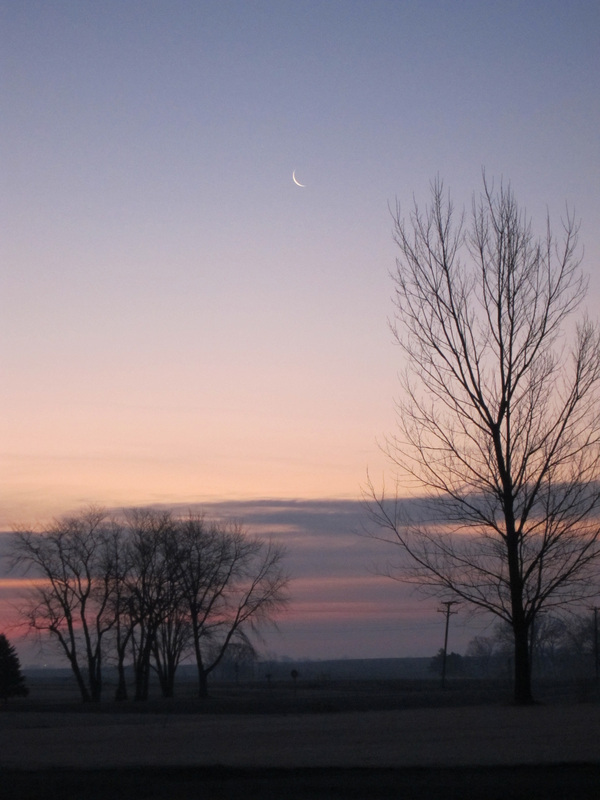 When I go for dinner and the drive back to the B&B, the air is crisp and invigorating. I stand next to the car and breathe deeply, inhaling not only the fresh country air but drawing in a little of the land, the rich history of the area, and perhaps, recapturing a little of my own lingering history.